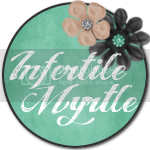 The Infertility Overachievers: Hormonal CRASH! Last night my hormones were OUT OF CONTROL. My husband is gone for the next few days, which is very lucky for him. Unfortunately for him though, I have a cell phone. He wasn't exactly in the best of moods to begin with, and the Army really wasn't helping either. So as he was leaving yesterday we got into a HUGE fight. You might be wondering what the fight was about, so I am going to tell you, NOTHING! Well, nothing big at least. The fight was about a fight that we had the night before because I felt like he snapped at me. Are you with me? Yes ladies (and gentlemen? ), we were having an even bigger fight about a fight about something that was trivial to begin with. It was truly an incredible sight. Me: I can't believe you are not going to apologize for snapping at me last night. Him: I snapped at you because you were being annoying. Him: Yes, you are annoying sometimes. Him: *walks over to me and tries to hug and kiss me* How about we just let this go? Seriously what is wrong with me? Oh I wait, I know, almost 900 iu's of Gonal-F. He was trying to do what I wanted him to do (well minus just saying, I'm sorry), but I could NOT let it go. Last night via text this fight got out of control. I said some really horrible things to him. I am seriously in AWWW that he did not ask for a divorce. I cried and I'm pretty sure that at one point I told him he was balding *gasp!*. All married women know that is the one line you never cross. Even if you husband is sporting the Homer Simpson 3 hair comb over, YOU NEVER MENTION IT! My husband has a full head of thick hair, yet just to get under his skin last night I told him he was balding. I'm going to ask it again, what is wrong with me? The funny thing is that last night I felt better immediately after the "I hate Mike" parade of insults was over. Oh how I forgot about how crazy these infertility drugs make you. Today I felt great. I felt like myself again. 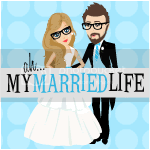 Maybe I just needed a good vent at his expense, but thankfully I have an amazing husband who will take it. He may not sit there and just let me yell at him. He definitely gave me a bit of my own medicine last night. However in the words of my awesome husband who loves me unconditionally, "I'm glad we are cut from the same material". My appointment is at 9am tomorrow. Fingers crossed that I am going to trigger. I will update as soon as I can. Natural hormones are bad enough. I am so sorry you have to deal with artificial ones. I am glad you are feeling better today. Keeping you in my prayers. Ughh....I hate fights like that! Hope your hubby understands our hormones can make us out of control! Good luck! This seriously made me laugh, just because I have SO been in that place (minus the extra hormones which I am certain makes it worse in ways I cannot comprehend). I LOVE you and Mike!! I know it's not funny but the thing about balding made me laugh so hard! That's the one thing you can say to any guy and they freak out over it. The balding thing made me laugh too, mostly because I have this picture in my head of how it went down. Glad you're feeling better though!